This capable and influential citizen of Nez Perces County is one of the powerful men whose talents have been turned to the provision of sound legislation for the state of Idaho, being at this time a member of the state senate from Nez Perces County. Mr. Clark is conceded to be the most powerful forensic orator on the floors of legislation in his state, and he has made a record that is highly appreciated not only by his constituents but also by all lovers of salutary and right laws. Louis Clark was born in Hawkins County, Kentucky, on August 3, 1865, the son of William H. and Mary A. (Ray) Clark, whose ancestors had been residents of that section for four generations. 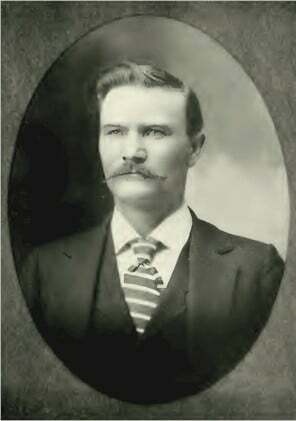 Mr. Clark is the eldest of three children and his father died while he was an infant. From that time forward, Louis helped his mother in the battles of life. In 1874, they came across the plains to Boise, Idaho, and in 1882, our subject came to Beeman and later settled in Gifford. In this latter place he gives his attention to mercantile pursuits in Gifford and handling his estate two miles west from Gifford. Mr. Clark has made a brilliant success in farming and raising stock and is one of the most substantial men of the County. He was reared amid the trying scenes of life in various localities and received his education from the common schools. In 1890, he became greatly interested in politics and in 1892, he was elected constable of the Potlatch district. In 1896, he was elected justice of the peace in the Lapwai precinct. In 1898, he was nominated as state senator but was defeated. In 1900, he was nominated again and that time he carried the day. In both races, he went far ahead of his party and although the County of Nez Perces is Republican, he won, being on the Democratic ticket. It was soon discovered that Senator Clark was the right man in the right place and the senate accorded him responsible positions. He is chairman of the committee on agriculture and live stock, a member of the committee on rules, on highways, on bridges and ferries and he has been one of the most active and influential men of the senate. The success that Mr. Clark has won is entirely the achievement of a strong will, wisdom, integrity and untiring activity in the various channels of business life and in the realm of politics, while also in educational matters he has always been a power for good. Senator Clark is a member of the Reorganized Church of Jesus Christ of Latter Day Saints, which organization is often confounded wrongly with the polygamous faction which Brigham Young established, but the two organizations are widely different and the Church of our senator is stanchly opposed to the practices of the followers of Young. On July 2, 1885, Louis Clark married Miss Ida M., daughter of J. A. and Susan (Herrington) Richardson, natives of Missouri. The nuptials occurred in Juliaetta, Latah County. Mrs. Clark was born in Pendleton, Oregon. She had one brother, Isaac, killed in the Philippine war. He belonged to Company B, Idaho Volunteers. Another brother, John, was killed in an accident, and one brother, George, is living at Juliaetta farming. Mr. Clark has four brothers and two sisters living. We wish to mention that in addition to the brilliant record that Senator Clark has made in legislation for his state, he has also demonstrated that he possesses excellent business and executive ability and is a good financier. He has large tracts of real estate, handles about two hundred head of beef cattle annually, and has done a lion’s share in the development of the resources of Nez Perce County.